Employee engagement, all the rage. Corporate America is all over it starting with Human Resources, behaving as they discovered that next great thing, to senior leaders talking the talk and measuring results. Everyone expecting improvement, big improvement. Yet, no profound change. The level of disengagement for American workers remains high. The Gallup organization, the highly respected polling and survey company, has tracked employee engagement for years. In their latest report, State of the American Workplace, they outline the progress and remaining gaps in workplace employee engagement. These days few disagree (at least outwardly) on how fully engaged employees make a difference in the workplace. Study after study bear this out and organizations are looking for how to improve employee engagement. There is a fight for talent and innovation is critical for all organizations to thrive in the future. A fully engaged workforce attracts the best, retains talent, and allows the space for innovation and leaps of production. Fast Company magazine recently talked to Gallup’s Chief Scientist of Workplace Management and Well-Being (add to list of cool job titles), Jim Harter, about the latest results. I encourage you to read the Fast Company article and potentially read the full Gallup study. You can access the Fast Company article here. So, what are the qualities of leaders that businesses must now be seeking? According to Harter, it begins with a combination of being results oriented and authentically concerned about the development of every worker … Harter describes the most effective managers as being deeply caring–and capable of seeing, supporting, and adjusting to the differences in people. Damn, we know this stuff, yet we still struggle. For me there is something more profound at play. If the list above is the foundation of effective employee engagement, then we have to look to the soil on which we build that foundation. How do people thrive? A positive mindset and approach to our day, at work and at home, is the DNA of success. Happiness leads to success, not success leads to happiness. You got to believe this or just stop now as a leader. 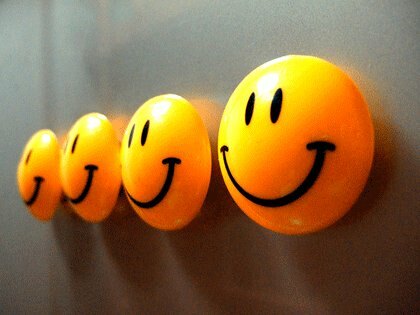 Positive emotions are critical to a happy and thriving approach to the day ahead, while at work or away. Why should there be a separation? You got to believe this or just stop now as a leader. Here are the most common positive emotions as identified by researcher, Barbara Fredrickson (great book, Positivity). How do we separate these from the person while at work and expect improvement in our engagement? Joy … Gratitude … Serenity … Interest … Hope … Pride … Amusement … Inspiration … Awe … and Love. Now there is a challenge for you and the people you lead. It takes creativity and profound commitment to create the space for positive emotions to exist and thrive in the workplace. Are you ready to commit? If not, stop now, employee engagement was never your goal.